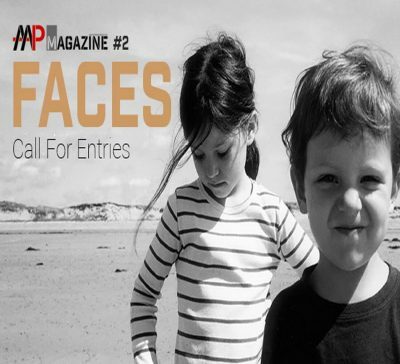 Our second printed issue of AAP Magazine will feature the best projects showcasing the theme “Faces”. Faces are a reflection of our inner thoughts, reveal yourself! In this second magazine we strive to discover the best and most interesting portrait photography from all over the world. We’re eager to see innovative new approaches as well as stunning traditional work! From the classic studio portraits to the rise of the selfie, the best portraits give a glimpse into somebody’s soul, a connection formed across distance, cultures and ages. Show us faces – series are more than welcome – that celebrate diversity, creativity, honesty and self-expression. Studio portraits, candid street shots, self-portraits, conceptual and fine art all welcome. With all faces to choose from around the world, show us the ones that matter to you. All winners will have their work published in the second printed issue of AAP Magazine, a free copy of the magazine and their portfolio showcased in the Winners Gallery of www.all-about-photo.com. The next twelve winners (ranked from 4 to 15) will have their best image(s) or portfolio published in AAP Magazine Vol.1. An integral part of All About Photo is its annual awards competition, The Mind’s Eye, she has juried over the years with renowned photographers and curators such as Liu Bolin, Ann Jastrab, Ed Kashi, Eli Klein, Jules Maeght, Aline Smithson, Ami Vitale, Judy Walgren, Sabine Weiss and many more. She also juried competitions and shows for A Smith Gallery, Darkroom Gallery, Rayko Photo Center, L.A. Photo Curator, Emerge UK Prize, The PhotoPlace Gallery and The Young Photographer’s Award. Few years later, he became a photographer/videographer shooting his own campaigns in the United States. His european vision was an obvious asset. His clients love his ability to create amazing content, very clean and never over saturated of informations. From his strong background in advertising and production, he has been offering some high level and luxurious services. There is no chance to categorize him in one box, he is a multi talented person who learnt from the best and is able to provide the best in his turn.